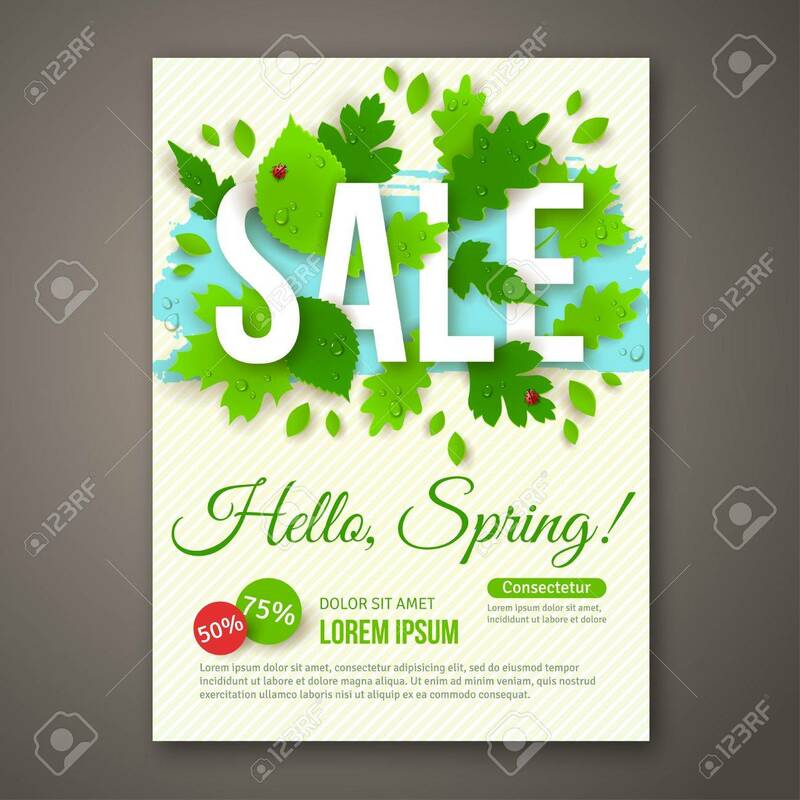 Spring Sale Flyer Design With Green Leaves. Vector Illustration... Royalty Free Cliparts, Vectors, And Stock Illustration. Image 36978577. Vector - Spring Sale flyer design with green leaves. Vector illustration. Place for your text message. Business event concept. Sale banner design for web site. Water drops and ladybugs. Dew on leaves. Spring Sale flyer design with green leaves. Vector illustration. Place for your text message. Business event concept. Sale banner design for web site. Water drops and ladybugs. Dew on leaves.